Cyanotype Store Watercolor Paper prints a crisp clear image. The 90 lb. cold press watercolor paper is treated so it holds-up to repeated rinsing when using the toning process. 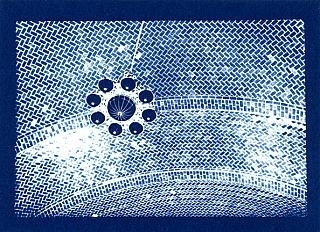 Blue Sun Prints are also archival. Simple to do. Just place your image or object on the Cyanotype Store Watercolor Paper. Set it out in the sun for 10 - 15 minutes. Remove your design from the Cyanotype Store Watercolor Paper and rinse in water until the water runs clear. Note: Cyanotype prints can be dyed and toned. Submerge your blueprint in a soda & water solution. To make a brown print, submerge your yellow print into any strength black tea bath.